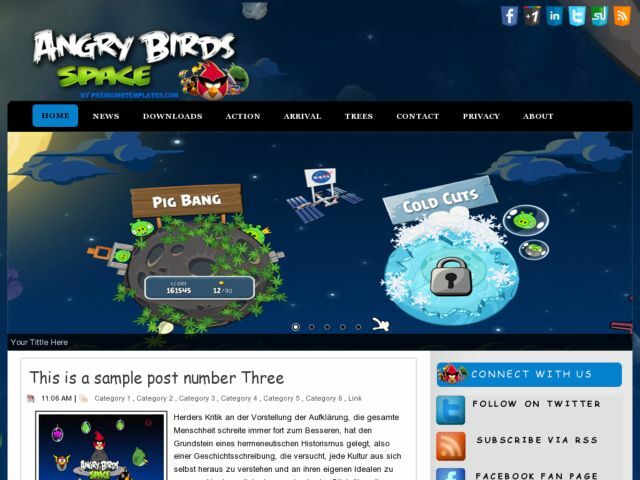 Angry Birds Space Blogger Template is free blogger template which uses the theme of angry birds. This template has 2 columns and sidebar is located on the right side, blue as primary color and white on the post. Other features: slider menu, rounded corners, 3 footer columns, social icons ready and more. This template is perfect for blogs with the theme of games or anything about angry birds.